To find the right home for you in the Kamloops area, could take weeks, months or even up to or over a year. I’ll be there to help you, no matter how long it takes. I work with you one on one...not in a team environment. I can set up showings for you on any MLS® listing(s) you find, regardless of what brokerage holds the listings (the MLS® system is a cooperative system). 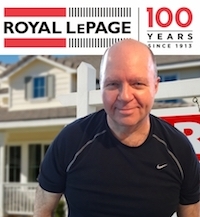 I offer knowledgeable expertise from almost 20 years of selling homes in the Kamloops area. I’m not a pushy or pressure oriented sales person. I'm always looking out for your interests. You'll find me pointing out anything that concerns me about the area a house is in, or any type of condition about the home which raises my eyebrows. I think most of my clients over the years have appreciated this. You can read some of their testimonials at this link here. My job will be to show you as many homes as possible, so you ‘learn’ the market and once you find a home you want to buy, my job continues... at this point, I’ll write you a legal agreement or offer and negotiate the offer to get you the best price and terms possible. The offer will ensure you have an adequate time frame to do your due diligence in ‘checking‘ that the home meets all your criteria including a professional inspection, examining the title, securing your financing and more. An important note: You might have heard about Buyer Agency. It's a relatively new concept in the real estate world. It gives you powerful legal benefits and I truly believe it works in your favour. As a Buyer’s Agent working in the Kamloops area, I represent soley your interests when purchasing a home. My fiduciary duty (duty of loyalty) is to only you the buyer, not the seller. I totally recommend you enter into a Buyer's Agency agreement with me. You can ask me about the agreement when we have our first meeting. In the meantime, for more information on Buyer Agency Use This Link. To start this process, please contact me to arrange an introductory meeting during which we can go over how everything works when buying a home. We can meet at either Royal Lepage office in Kamloops, your home or at one of the local coffee shops (and the coffee is on me!). You can set up an appointment to meet with me at this link. I work with all types of buyers, people who are downsizing, moving up, and relocating to our city, but I have to say, I love helping first time home buyers. It's hard for young buyers... not only to find the right house that's in decent condition but also to get financed. If you're a first time buyer I can help. I've got the experience, contacts and knowledge to get you into your first home. 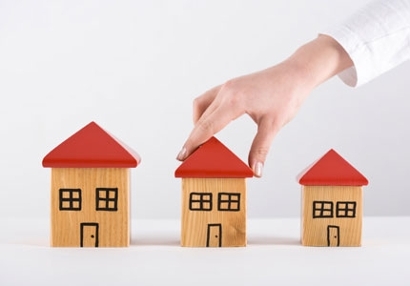 If You're A First Time Home Buyer, Use This Link For More Information.